The latest version: 1.0. Click the Download button below if you wish to try it. 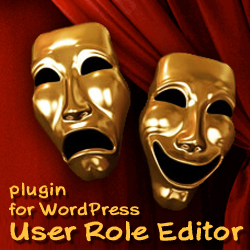 – There are a lot of slider plugins already in the WordPress.org plugin repository. What is the reason to make one more plugin with the same functionality so wide represented in the plugins repository already? Good question. But answer is very interesting too. After finishing analysis of plugins, which could offer similar functionality, I’ve wondered very much by the results of that investigation. Let’s look together. Post Slideshow Widget is different from others. Yes, there are a plenty of different sliders, but only 29 of them use excellent and robust jquery.flexslider.js plugin from WooThemes. Only 2! of those 29 plugins offer to show in slider images from the recent posts. 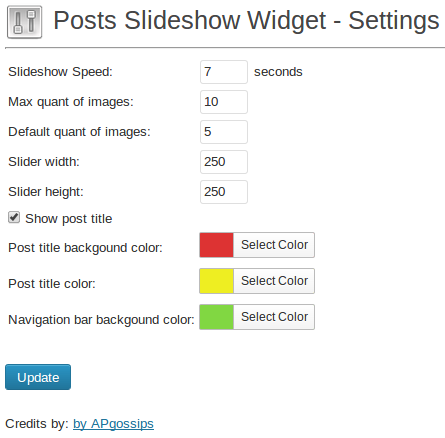 It is the main purpose for which “Post Slideshow Widget” is developed. What are the differences of “Posts Slideshow Widget” from those 2 plugins? – has no Settings page with default values for widget parameters. As addition, posts-slideshow-widget uses modified CSS for slider navigation controls, which are placed and shown differently from the way as that Flexslider does originally. You may take a look on Posts Slideshow Widget in action at my development site. 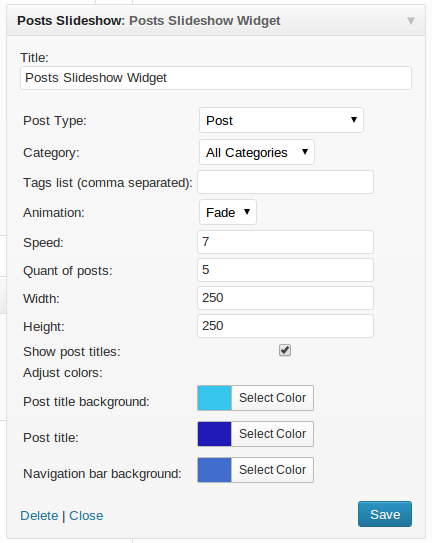 Is it enough to consider “Posts Slideshow Widget” WordPress plugin quite different in order to be useful for WordPress community? This entry was posted on Saturday, April 27th, 2013 at 11:42	and is filed under ShinePHP WordPress Plugins, WordPress. You can follow any responses to this entry through the RSS 2.0 feed. You can skip to the end and leave a response. Pinging is currently not allowed.